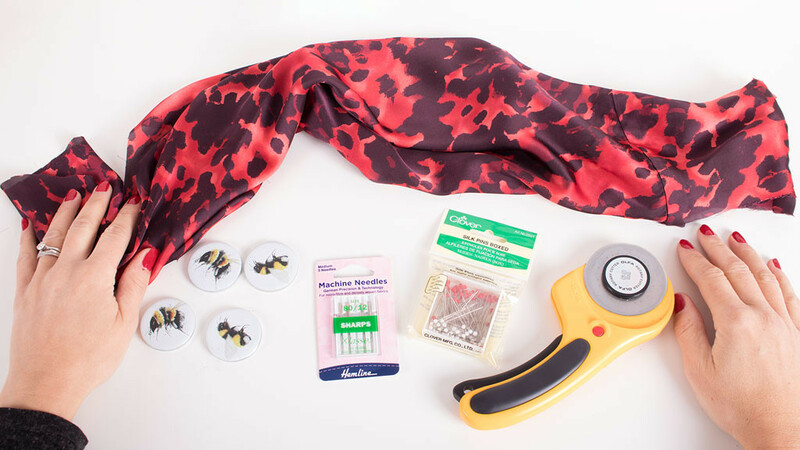 This entry was posted on December 7, 2018 by Sew Essential. Depending on who you are and how busy your social calendar is, party season is either already upon you or fast approaching. So what are you making? Probably something shiny, glitzy or all of the above. Slippery fabrics like crepe de chine, silk and satin make dreamy party attire, but they can be a nightmare to sew. 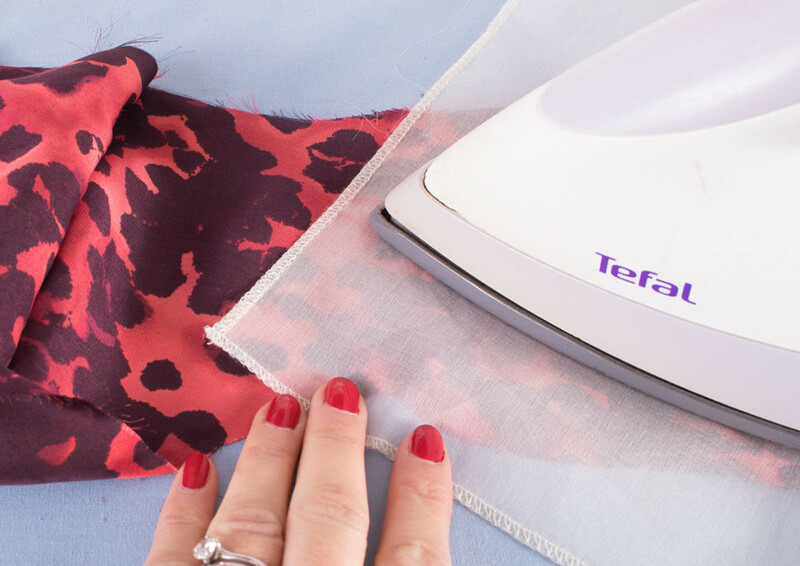 Not if you follow our top tips for sewing with slippery fabrics. They'll make all your party dress dreams can come true. First up let's talk about how to get these slippery fabrics under control when cutting. As with all fabrics always pre-wash in accordance with the washing instructions. This will prevent your lovely handmade garment from shrinking in the wash. And let's face it, that would be devastating. 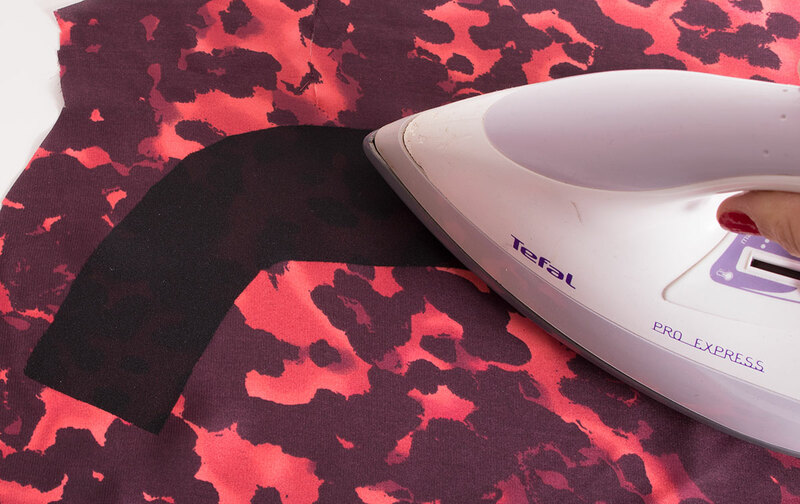 As long as your fabric is washable you can try using a little starch spray on your fabric before cutting it out. This will make it a little bit stiffer and easier to control. Always test on a scrap of fabric first if you are unsure. Once you do start cutting out a good way to ensure accuracy is to cut pattern pieces on a single layer. In other words, rather than folding the fabric with selvages together in the normal way just lie it flat. If you do this you will need to remember to flip any non symmetrical pattern pieces to make sure you end up with a left and a right side. In other words cut one piece with the pattern piece the right way up on the fabric and the other with it the wrong way up. If you are cutting a piece that is normally cut on the fold, pin it in place and mark where the fold would normally be with a chaco pen or similar. Cut around all of the edges bar the edge that should be on the fold. Flip the pattern piece over lining the fold edge up with your markings and cut the other side. I haven't actually cut the fabric in the images below. The neckline, shoulder seam, armhole and bottom edges would be cut around whilst the remaining edge at the centre of the images (where I'm marking with a chaco pen) would be in tact effectively joining the two sides. Slippery fabrics are so wriggly! To make sure you keep things nice and straight and cut with the grain in the correct position a useful tip can be to line your selvage up with a line on a cutting mat or a metre stick. This way you can keep an eye on it and make sure it hasn't moved. To stop any movement some people like to cut out on their carpet rather than a slippery surface such as a table. Clearly the carpet would have to have a minimal pile so the fabric is flat. This isn't one I've ever tried, but some people swear by it. Another alternative would be to turn over a table protector and use the fleecy side for cutting out your fabric. Again the resistance of the fleece should stop it moving so much. Rather than try and cut out every single piece in one go like you probably do with easier, more well behaved fabrics, take it easy and cut one or a few pieces at a time. Just remember you will need some reference to the selvage for the straight of grain if you take this approach. 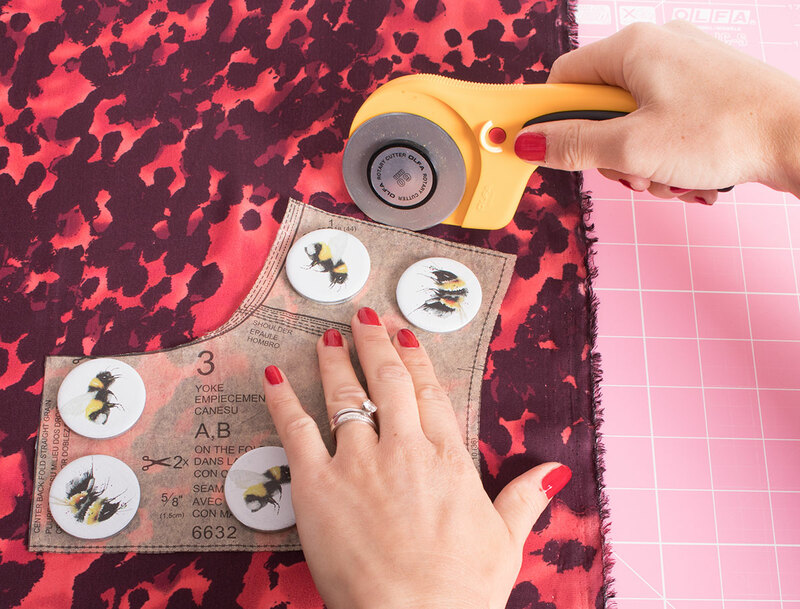 Personally I always prefer cutting out with my dressmaking shears, but many sewists find it easier to cut slippery fabrics with a rotary cutter and cutting mat. This is an excellent tip. For pieces that need to be interfaced, cut out the interfacing first. 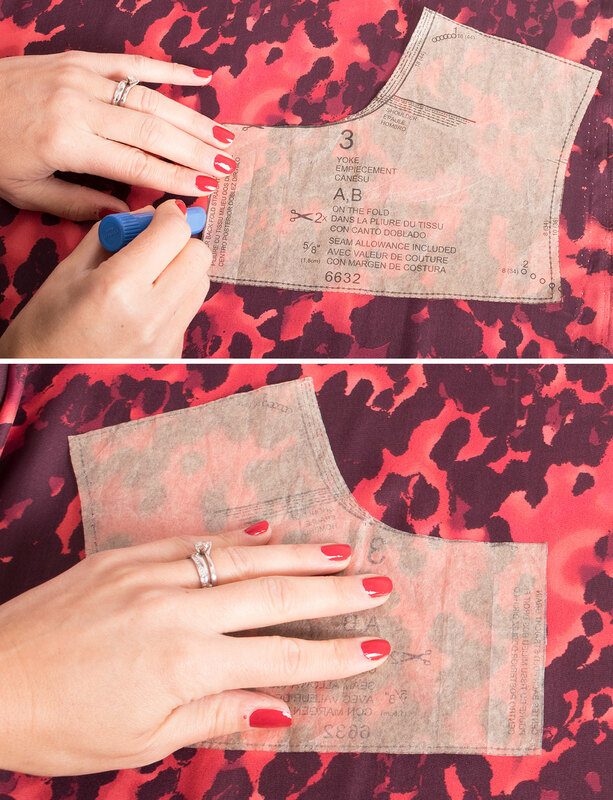 Apply it to the fabric prior to cutting, then cut the fabric out using the interfacing as a template. This way you won't end up with fabric pieces that don't match the shape of your interfacing pieces because the fabric has moved. Some people prefer to use pins, others prefer to use pattern weights. When working with slippery fabrics it can be helpful/reassuring to use both and really pin that naughty fabric down! As with all fabrics and sewing choosing the right sewing machine needle is crucial to success. 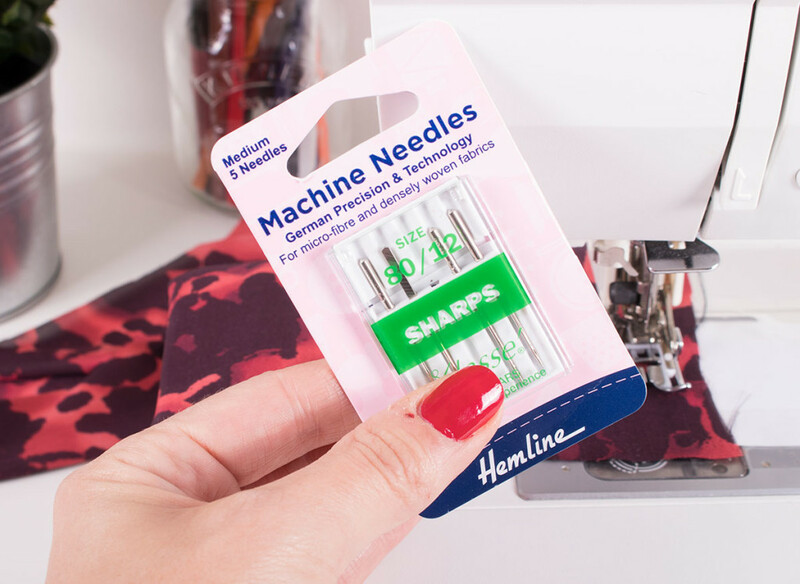 When sewing with slippery fabrics we recommend using a sharps needle designed with tightly woven fabrics in mind. Using a walking foot will save you an incredible amount of time and frustration. A walking foot works to feed the top and the bottom layers of fabric through evenly. Without a walking foot the two layers of a slippery fabric will want to run away from each other. This means they will be sewn together in the wrong place otherwise known as 'a tearing your hair out moment'. We stock walking feet, also known as dual feed feet, for all the main brands of sewing machine and you can find them here*. They aren't just good for slippery fabrics, they are also fantastic for other fabrics with a tendency to misbehave such as jersey/knit. They are also fantastic for feeding more than two layers of fabric through evenly, for example, when working on patchwork projects. 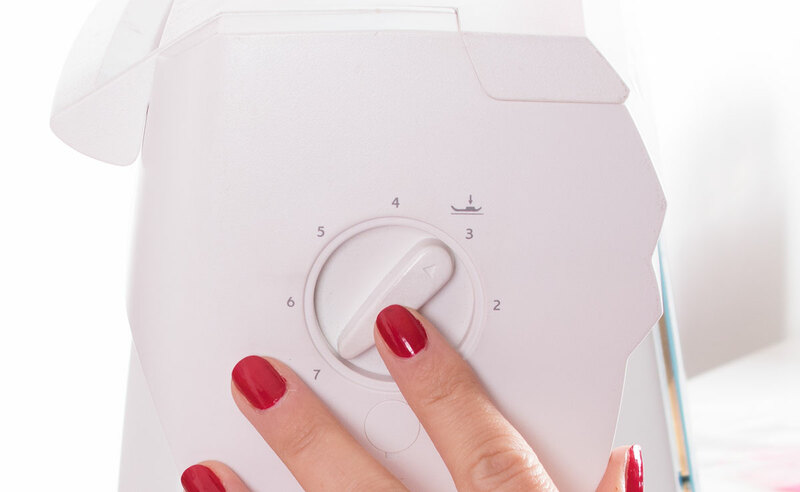 *Always use our compatibility charts to check a foot is compatible with your machine. 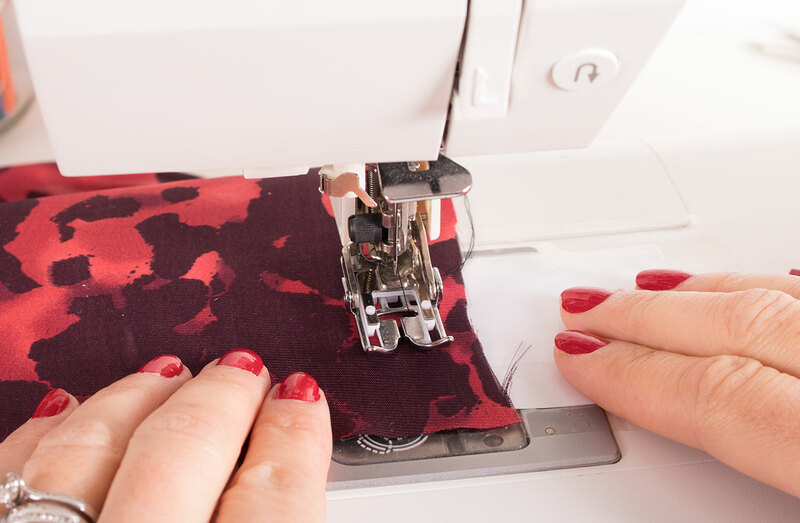 If you don't have a walking foot another option is to hand tack the layers of fabric together before sewing them on your machine. Alternatively you can pin tissue paper along the seam you are sewing, sew through it, then tear it off afterwards. If you find your your fabric is puckering slightly around the stitches try adjusting the presser foot pressure. 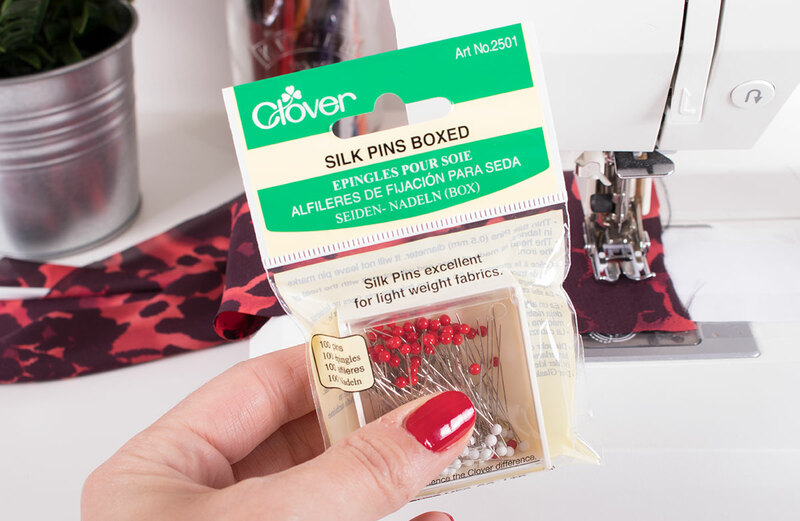 It is best to use silk pins for fine fabrics like silk, crepe de chine and chiffon. They are extra fine and therefore less harsh on these delicate fabrics. This means they won't damage your fabric and leave puncture marks like conventional pins might. French seams are a great way to neaten the seam allowances on fabrics such as chiffon, silk and crepe de chine. They neatly tuck the raw edges away in an encased seam. They are strong and look incredibly professional and posh too giving even the inside of your garment that wow factor. 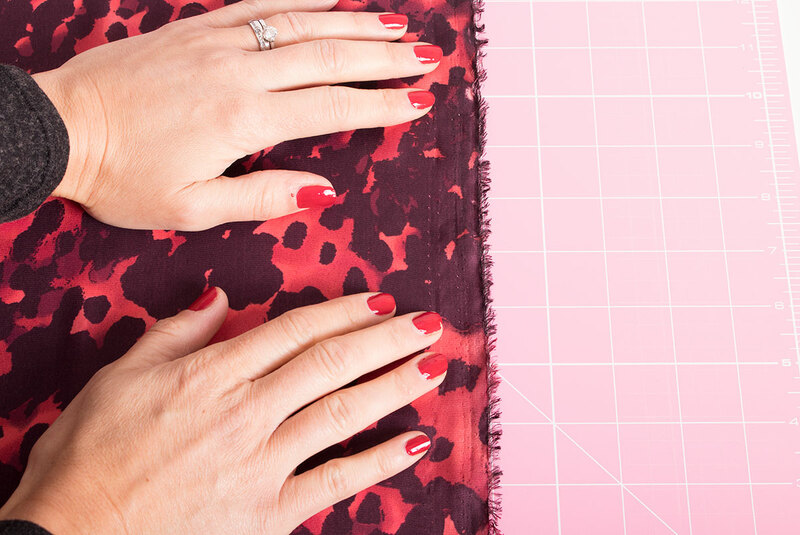 You can find a tutorial on how to sew French seams here. Finally always use a pressing cloth on delicate fabrics. We always recommend using silk organza. 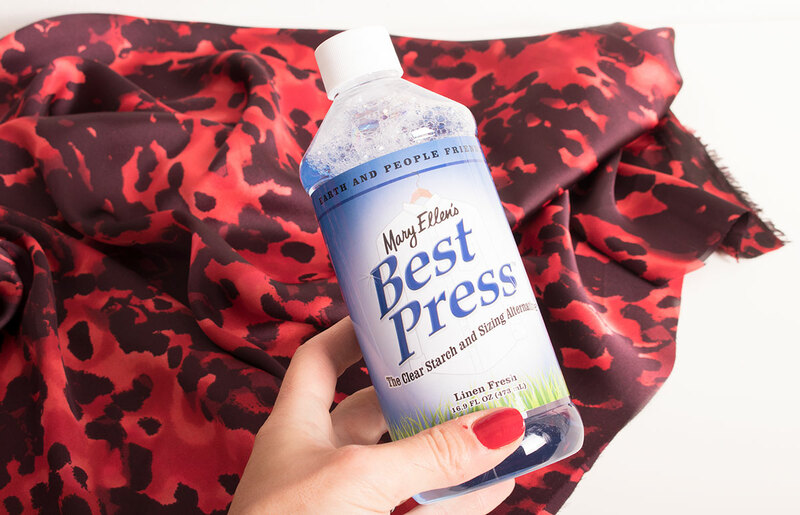 It is transparent so you can see exactly what you are doing and where you are pressing, but is strong enough to withstand high temperatures and protect your fabric from burning. You can buy half a metre of silk organza here then overlock/overcast stitch the edges to prevent it fraying and make it last a lifetime as a lovely pressing cloth. Phew, quite a comprehensive post there, but hopefully you feel well armed to tackle those slippery and delicate fabrics. Now go have some fun! Follow us on Facebook Twitter and Instagram for news, tutorials, special offers, sales and more.